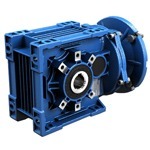 TECO-Westinghouse is a premier supplier of AC and DC motors and generators. Ranging from fractional hp ratings to 100,000 hp, these high-quality machines are used to drive pumps, fans, compressors, rolling mills, grinders, crushers, and a variety of other rugged applications. TECO-Westinghouse motors and generators are utilized in petroleum, chemical, pulp, paper, mining, marine propulsion, steel, electric utility, and many other industries. The Westinghouse Motor Company (WMC) was established in 1988 as a joint venture between Westinghouse Electric and TECO Electric and Machinery Co., Ltd. Under this arrangement, WMC designed and manufactured large, custom AC and DC products at our Texas facility, whereas, less custom products were manufactured by TECO’s modern manufacturing facilities in Taiwan and Malaysia with WMC providing design, drafting, final assembly, and testing for such products. WMC marketed, sold, and distributed these products throughout the North American market under the Westinghouse Motor Company name. With the TECO acquisition of Motovario S.p.A, TECO-Westinghouse is excited to extend its product offering from motors and drives to power transmission systems. Founded in 1965, Italy-based Motovario produces mainly gear reducers and other power transmission products.